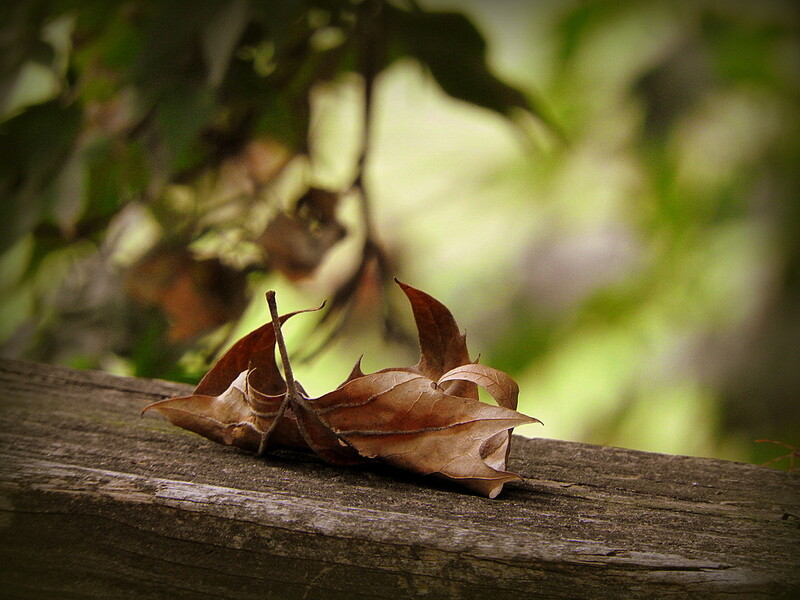 I found a dead leaf laying on the bridge railing in the park, a symbol of things to come - autumn. I think the South will welcome autumn this year, as it's been a very long, hot summer. I chose this picture to start off my 4th year on 365! Beautiful focus and dof. So clear too! Beautiful shot and great details. wonderful DOF with this. Beautiful shot. @carolmw @bokehdot @leggzy @kwind @claycameras @nanderson Thanks so much for the FAV! @annika82 I wish. Still dreadfully hot here! @tonygig Thanks so much for the FAV! Lovely September photo. Congrats on Year 4! Warm and dry here so not holding up much hope for a beautiful fall. It does remind one of autumn. Autumn is here--- love & fav! Instant fav for me - congrats on Year 4! I'm right there with you! I've seen a few brown leaves here too. We haven't had as much rain this summer so I think the leaves will change earlier. Good shot! Welcome to year number four! Fav. Great focus on the dead leaf and also the dof. This is amazing! I love the composition with it on the wood. Isn't funny how beautiful a dead leaf can be?